1. Which area was not acquired by Rome between 264 and 201 BCE? 2. Where is Byzantium located on the map? 3. Where is Numantia located on the map? 4. Where is Alesia located on the map? 5. Which of the following regions was famously conquered by Julius Caesar? 6. Where is Jerusalem located on the map? 7. 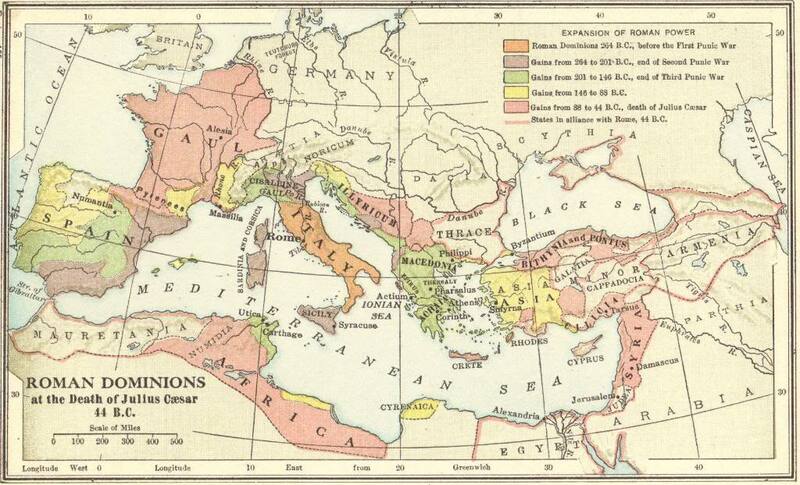 Which area was not acquired by Rome between 201 and 146 BCE? 8. What river formed the northern boundary of Thrace?